Not since 2011 have Bayern Munich had a calendar year without the club’s name inscribed onto one trophy or another – that was the year that Bayern swapped hands from Dutch manager Louis van Gaal to eventual treble-winning coach Jupp Heynckes. 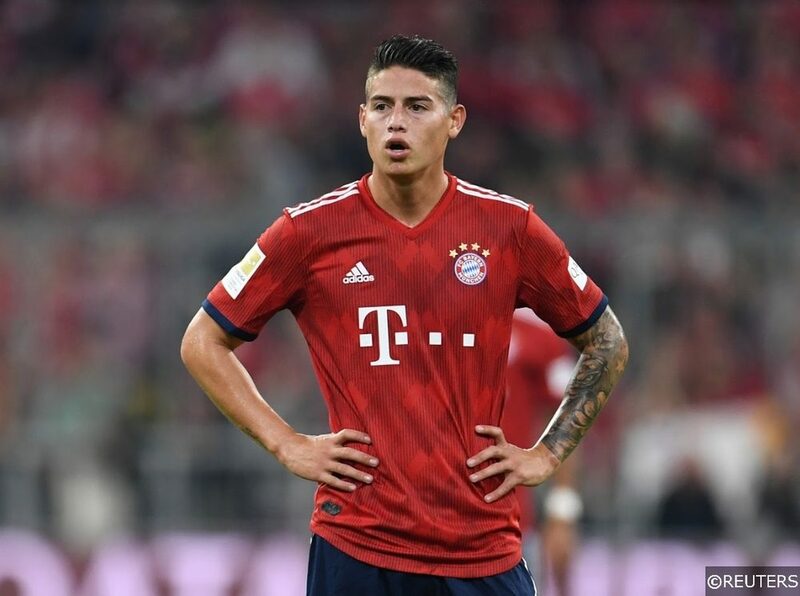 Now, in their first season under former-Eintracht Frankfurt boss Niko Kovac, Bayern’s hot and cold start to the 18/19 campaign has raised some question marks as to whether they could find themselves in a similar situation once again. Bayern’s best shot to win a trophy is undoubtedly in the German Cup (a.k.a. the DFB Pokal). Kovac’s men are through to the quarter-finals and drew a very favourable fixture at home to Bundesliga 2 side Heidenheim. Rivals Borussia Dortmund, form sides Borussia Monchengladbach and Bayer Leverkusen, and last year’s winners Eintracht Frankfurt have all already been knocked out. RB Leipzig, Schalke, Werder Bremen and Augsburg are, in fact, the only other remaining top-flight sides left in the competition, and those four sides make up two of the other three quarter-finals with Hamburg and Paderborn playing out the fourth. 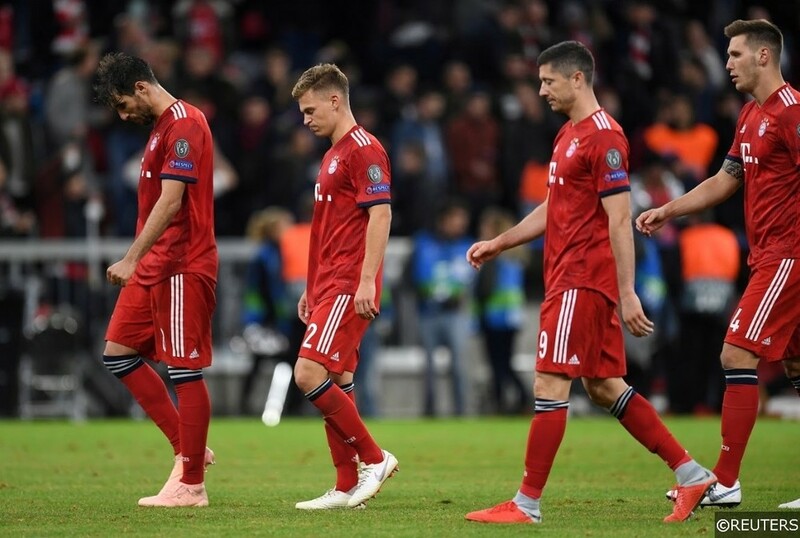 Excluding last year’s defeat in the final to Frankfurt, each of Bayern’s last three German Cup exits (2017, 2015, and 2012) have come against Dortmund – ie, the years that Bayern haven’t won it – so you can see why they look the side to take it down. Borussia Dortmund may have a five-point lead on Bayern Munich at just over the half-way mark, but there are a few reasons why the Bavarians should close the gap by May. It’s important to highlight that Bayern are very much in the title race despite having one of their worst ever starts to a domestic campaign – that says something about their quality. Bayern did lose the away trip to Dortmund earlier this season – a tight 3-2 defeat – but crucially still have the home leg yet to play. Should they win that game at the Allianz Arena, they will have 12 fixtures from now to make up what would then be just a 2 point deficit. Dortmund’s defensive record is on the decline and recent slip-ups against Frankfurt (drawing 1-1 after leading 1-0) and Hoffenheim (drawing 3-3 after leading 3-0) are sure to knock their confidence. Bayern, meanwhile, have won eight of their last nine, losing away only to form side Bayer Leverkusen. 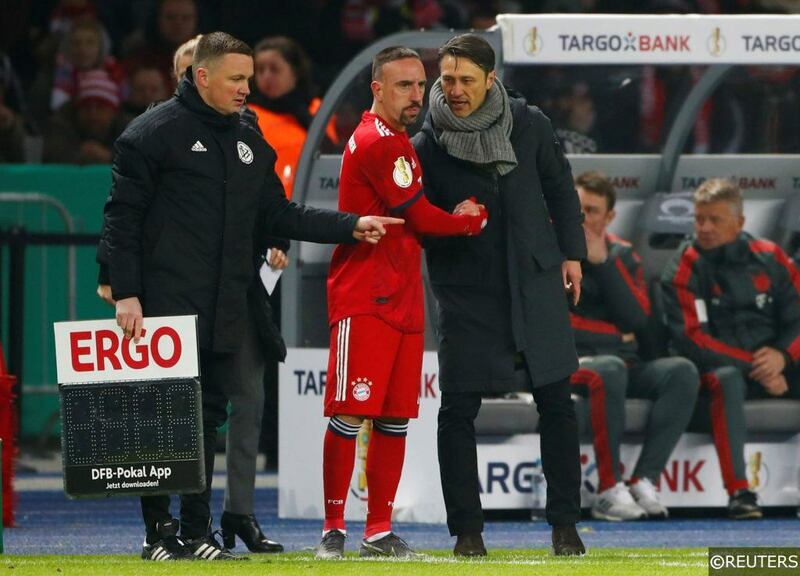 Kovac’s men also top the rankings for xG (expected goals scored – 50 to Dortmund’s 39) and xPTS (expected points – 48 to Dortmund’s 39), while also boasting a better xGA record (expected goals against – 19 to Dortmund’s 25). All of which is to say that the Bavarians are “unlucky” not be the league leaders already. Reckon Dortmund will hold their lead? You can back them at exactly the same price! When the Champions League Round of 16 was confirmed back in December, Bayern will have had mixed feelings about facing Premier League title-chasers Liverpool for the first time in the competition. On the negative side, the Reds are in their best form in years and Jurgen Klopp always knew how to cause Bayern problems, but you could still say that this is one of the more favourable “heavyweight” draws the Bavarians could have gotten. Liverpool are a side that – judging by their domestic cup exits – are focused on winning a Premier League title race after years of near misses. You couldn’t say the same about, for example, Manchester City, whose main target now is European silverware and whose squad depth is incomparable. Should Bayern make it through to the next round against a possibly distracted Liverpool side – the bookies can’t decide who’s favourite – you will have one of the best prices going on, player-for-player, one of the best squads in Europe. Reckon Bayern can pull a few trophies out the bag in 2019? You can get some huge odds on multiple trophy bets! Ending the year with success in the league and the cup is the favourite combi-bet. Dortmund too strong in the league? Not a bad price on Bayern to win the rest. See a “cup-set” on the cards in the DFB Pokal? This one could be for you. Bringing a second “continental treble” home to the Allianz Arena? Here’s the long shot! Categories: Betting Odds, Betting Strategy, Blog, Football, and Free Tips. Tags: Allianz Arena, Bayern Munich, Bundesliga Betting Tips, Bundesliga Match Previews, bundesliga predictions, champions league betting tips, champions league predictions, German Cup betting tips, German Cup predictions, Niko Kovac, Robert Lewandowski, and Thomas Muller. Team Tag: Augsburg, bayern munich, Borussia Dortmund, Borussia Monchengladbach, Liverpool, rb leipzig, Schalke, and Werder Bremen. League: German Bundesliga. Sports: Football.